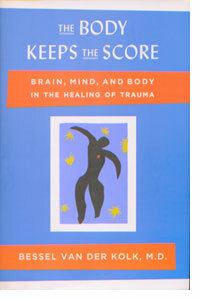 Bessel van der Kolk has an imposing presence; he lives up to his name, and indeed to 'The Body Keeps the Score: Brain, Mind, and Body in the Healing of Trauma.' But when you sit down to talk to him, he's funny and easy-going even when he delving into the combination of deep science and intense emotion that is his subject. Talking about trauma with him is anything but traumatic. Van der Kolk may not be a household name, but he should be – and this may be the book that makes it happen. He's been working on trauma for more than 50 years, and he brings the right combination of human intuition, an ineffable sensibility, and scientific rigor to ground his subject and make it accessible to lay readers and listeners. To a certain degree we worked our way through his book, discussing the basics of trauma, trauma in children and the developmental trauma that so differs from other trauma, to some of the healing techniques he helped discover, including EMDR. But we also fell into a very conversational rhythm, and were mutually enthused by notions of the fashions in science, stepping back from the specifics to get the big picture. Though we had a rather limited time, we still managed to talk for over an hour. You can hear our in-depth, long-form conversation by following this link to the MP3 audio file. Here's the one-hundred eighty-ninth episode of my series of podcasts, which I'm calling Time to Read. 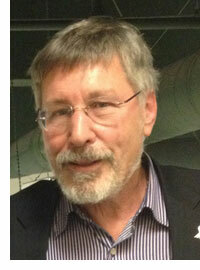 Here's a link to the MP3 audio file of Time to Read, Episode 189: Bessel van der Kolk, 'The Body Keeps the Score'.